Marty Liquori was the last American to be ranked #1 in the world in the mile/1500 meters, and he was the last American to be ranked #1 in the world at 5000 meters. 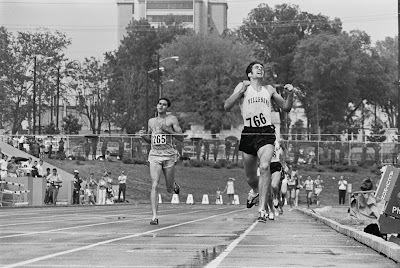 Among other accomplishments, he also won three consecutive NCAA outdoor mile titles (beating, among others, Jim Ryun and Dave Wottle in the process). In the summer after his freshman year at Villanova, Liquori advanced to the 1500 meter final at the 1968 Olympic Games in Mexico City. 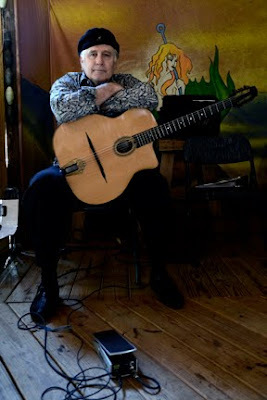 In recent years, he's been a mainstay on the music scene in the Gainesville, his hometown for the better part of three decades. Earlier this year he was selected by INsite Gainesville as one of Gainesville's 25 Most Interesting People. Marty Liquori has run in the Olympics, hosted international sports broadcasts, and launched a successful business. But only now, at 62, has he achieved his boyhood dream of being a jazz guitarist. On Monday and Thursday nights, Marty plays with his band Hot Club Deville at Leonardo’s 706 and occasionally at Ballyhoo Grill. When Marty was 14, he thought fame was a bus ride away from his hometown in New Jersey to New York City. But his plans changed when his high school coach told his parents he could get college scholarships for running, a sport he took up only because the basketball coach wanted his players to run to get in shape. Marty became the third American high school runner to finish the mile in less than four minutes. This brought him to the 1968 Olympics in Mexico. 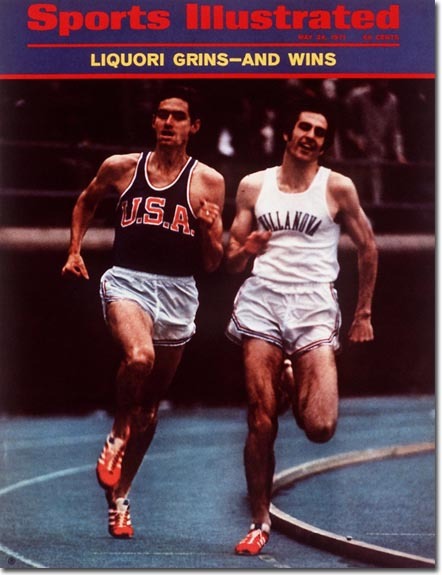 At 19, he was a freshman at Villanova University and the youngest 1500-meter (just under a mile) finalist. “My mind was blown even before they shot the gun,” he says of the experience. When the ’72 Olympics in Munich came around, Marty was ranked No. 1 in the world in the 1500 meter and was expected to win, but he suffered a foot injury and couldn’t compete. He was also injured for the ’76 Olympics. But he had already begun a side job, as he was asked to be a commentator on the races in Munich for ABC. The ’72 race was exactly the style he excelled in—a slow start, fast finish. When the producer started the countdown to go off the air, he couldn’t hold in his feelings. “The producer said ‘One’ and I said ‘Sh**, that was perfect for me.’” Lucky for him, he said it just after they cut. Otherwise, he probably wouldn’t have been asked to broadcast again, which he did for 25 years, covering more than 100 events, including 12 Boston Marathons and seven Olympic games. “Sometimes bad things turn into something good.” Still, he kept up his training. 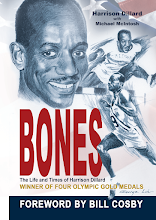 In 1980, his running career came to a close when the U.S. boycotted the 1980 Olympics in Moscow in response to the Soviet invasion of Afghanistan and the tense relationship with the Soviet Union during the Cold War. “Basically, my reaction was that I’m not going to train for four more years if some president can pull the rug out from under us,” he says. In addition to broadcasting, Marty was busy with Athletic Attic, a running shoe store he and then-University of Florida track coach Jimmy Carnes opened in Gainesville after seeing Europeans in track suits and special shoes at the Olympics. The concept of a store only for running shoes, without fishing gear and other sports equipment, was new. Learning from a book about how McDonald’s started, they franchised the business to expand to about 250 stores. Soon, the idea had gained popularity around the country and other such stores began to appear. Marty became a spokesperson for the Leukemia and Lymphoma Society’s Team in Training. About a year later, he found he had had a mild, chronic form of leukemia. Back then, it was predicted that he had about 10 years to live. So he sold Athletic Attic and stopped broadcasting. “I said that if I had 10 years, I didn’t want to be flying around everywhere broadcasting,” Marty says. His wife Debra got him guitar lessons for Christmas. “I knew he might not be able to keep up the level with running and I hoped it could fill a void,” she says. The lessons paid off. “Now I’m getting paid to have fun,” he says. And he still runs a bit, too.